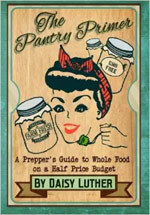 I have used survival caches as part of my prepping for a long time. This is because my experience that says no matter how well you are prepared, one day you may find yourself out with only what you have on you, so any help that you can get in that moment will be important. Why should you have survival caches? There is a big talk behind having your important stuff hidden somewhere in case that you might need it, but let’s try to simplify it. A really big SHTF event will usually come as a surprise for us, no matter how much we like to thing that we will recognize the moment. In a situation that comes suddenly, you will make mistakes for sure. You will not operate 100% in accordance with your survival plan – no one does. So even if today you think that you covered everything in great detail you will (because of many reasons) most likely fail in some field. In a situation like that, some equipment hidden in couple of places can give you a lot of help. Actually, it can save your life. No matter how hardened you think that your home is, your stuff inside your home can change in a matter of days, or sometimes in a matter of minutes actually. You can be in one moment the best prepper on your street, with everything that your family needs to survive, and next day you can be evicted with only the things that you can carry in your pockets. Or you may be forced to run for your life, leaving everything in your home, all your preps, no matter how wll armed you are. Some people like to think this can never happen but they are wrong. You may be even labeled when the SHTF as a person who by the law needs to give all your preps to the “goverment” or who ever gonna have force on their side in a particular moment. People usually think about bugging out like it is gonna happened just like they imagined it or planned it, while in reality, it may be completely different. Caches on your bug-out route should help you to resolve that change of plans. Not to mention that your bug-out trip may start out with you not at your home, or without all your bug out bags for another reason. We should simplify it and use the words why, what, where, how, and when. We went through the why details above, and you have also to add your own personal circumstances there, just like always. One basic rule that I like to implement is: never cache something that you can not afford to lose. So for example, if you have only one weapon, and you want to cache it, your survival philosophy might be wrong and you need to reconsider it. The usual response here is that you do not have enough weapons, so you need to work on solving that, not to mention that it is pretty strange not to have that one and only weapon close to you, not buried somewhere. Another thing that I use is the rule that the cache (if someone else found it) cannot be traced to me, so no, I am not caching my important papers there. However, I do keep there some tools that are illegal to keep it at my home (or wherever) with me, but that can help me a lot when SHTF. It might look like this: you go through your prep list, choose items from every pillar of survival that will cover your basic needs in a particular amount of time (three days, week, month?) and put it in survival cache. Your money is the only limit. It is completely based on your wishes and the amount of money you want to invest in this. I do not like big caches. I would rather have more small caches. It is partly because of my budget, but the bigger and more important reason is that based on my experience it is better to have more chances. Usually half of your caches will be inacessible to you when SHTF. Either it is going to be dangerous to go there, or you are not gonna have a chance to go and take it, or any combination of this. If your main reason for having survival caches is as a help on your way to BOL you need to factor in the very high probability that the route that you plan and the route that you will take to your BOL will be different, This could be because of many reasons (angry mob, looters, police, fire, whatever). It’s better to have more caches that are not on the planned route but also on alternative routes there. There is advice like “you need to bury it” or “never put it in building” or similar. But remember that all of this is very specific to your situation and surroundings. You need to check how things work in your case only. For example, I have two caches in an abandoned building 10 kilometers from me. It works for me because the building has been abandoned for the last 15 years. It probably will be abandoned until someone buys the land and destroys it. Hopefully, I will learn of that on time and remove my stuff from there, but even if not, I can afford it to lose that stuff. Of course, the most common way is to bury it, but do not blindly look to bury it if that does not work for your own case. For burying, I use water pipes (PVC), combined with plastic bags (bags in bags). Yes of course, there are probably very good brand name survival cache containers that will last much longer and keep stuff much better but I cannot afford it, and even if I could, I would invest that money in something that I find more important. If you have more of the caches, you need to have some system of keeping the data where you planted all of that. A GPS system works great for that, but remember that it can be gone one day. Having a map marked with places works well too, but in the wrong hands, it can leave you without anything. The best thing is to keep it in your head, but again if you have a lot of caches, it might not work. I heard a long time ago about a system of keeping track of your caches with photos. In each place where you hid something, you take a photo of yourself with your family, dog or whatever. Just a regular photo from sightseeing, hiking, or taking a nature walk. Then you will have a memory about the place of your cache that looks like a regular day out. You can even add on the back of photo sentence of two in simple code so you can know what is in that cache. Here is your imagination only limit. I mean, having a map in your pocket or on your book shelf with red circles and words like “gun, ammo, bandages, MREs” is very helpful but sometimes could get you into trouble. Having a wall with photos above your desk with of you and your friends or family looks just like that – photos. It is question that is the easiest to answer. Survival caches are things that you might never use, but if you gonna need it you probably gonna need it very hard, so start to work on it now. Again, you can start small, with very small caches, based on your budget and see where that will lead you. 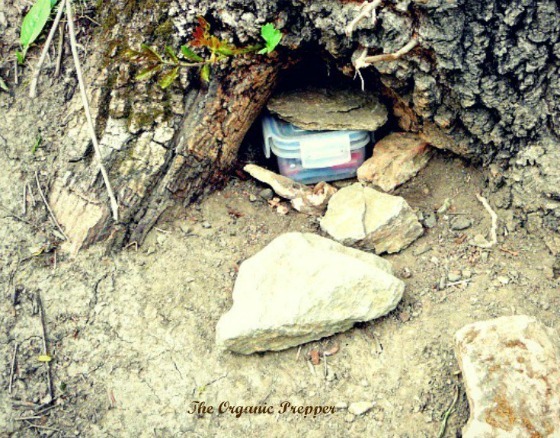 Survival caches are just one aspect of survival preparedness. They are not most important one, so do not invewst a lot in it and fail to invest in something maybe more important. I mean do not find yourself in the middle of the night when SHTF without everything useful just because all your cool stuff is buried 25 miles from you. This article was posted in Bug out, bugging out, Headline News, hiding inventory, preparedness, prepping, Selco, SHTF, Supplies, survival, survival caches. Bookmark the permalink. Follow comments with the RSS feed for this post.Comments are closed, but you can leave a trackback: Trackback URL.